So far this year, Anita is the most experienced lady celebrating her 80th birthday with us tonight! Her pictures say so much more than words can describe. Her daughter, Angela Bulla describes their experience in the 5 star review on Google during our show. Thank you Angela and Anita for being the best part of Florida Thunder Male Revue. 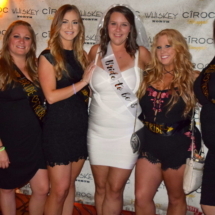 Don’t want to forget about our bachelorettes and brides to be, from all over Tampa Bay, Orlando, Florida and the various states within the USA. This time around, Ohio, Maryland, Michigan, to name a few off the top of our head. 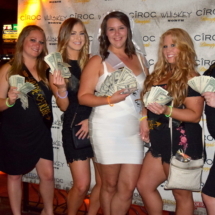 They had their bachelorette party ideas in their home states, and wanted to see where the movie Magic Mike originated from. One of our ladies, Allison traveled all the way from England this week, just to get a closer peek!